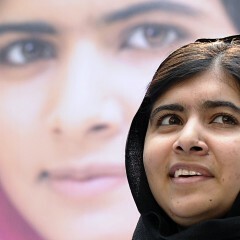 ]Perhaps the most thought-provoking element of He Named Me Malala is the idea that Taliban rebels thought that a bullet to the head would silence Malala’s plea for universal education for women. He Named Me Malala is an intimate portrait of Nobel Peace Prize Laureate Malala Yousafzai, who was targeted by the Taliban and severely wounded by a gunshot when returning home on her school bus in Pakistan’s Swat Valley. The then 15-year-old (she turned 18 this July) was singled out, along with her father, for advocating for girls’ education, and the attack on her sparked an outcry from supporters around the world.